This is about those customers who don’t pay! I’m sure I’m not the only one who is experiencing this problem! I wouldn’t mind if the job was shoddy or just bad workmanship but i have a testimonial from my customer! There is the usual route to go i.e send in the debt collectors but my own views on this are well known! Letter writing, this is where you send the first letter saying how you are sure your customer as “forgotten to post the cheque” only to find that after 7 days they have still forgotten, so you send the second letter which is a bit more stern, Something like, We notice you still have NOT paid “you got 3 days” A week later, NOTHING! Now its time for THE letter” which simply says, pay now or this go’s to our solicitors!! There’s something about that letter that makes me feel bad and keep putting off sending it, Don’t know what it is cant quit put my finger on it, I have come to the conclusion that from now on everyone i do work for must pay when the job is complete! What a week!! Been to 1 job twice, found a situation that we couldn’t do. More restoration than cleaning! Then done our first office job, waited for feed back which I got on friday, and was fantastic!! Starting to pick up decent work now, and getting a few enquiries from twitter belive it or not! Trying to get some info on a add on business which I think will be good for dry and clean..the day in the life article will be out this month, should be good fun! To be read! This is shocking! Had a fantastic week, priced up to do part of an office building if all go’s well maybe can talk about a contract! also looked a cleaning 12 persien rugs, which is a specialised job and our system is recognised to carry out this type of work. would love to do it! please take a look at the air pollution link.. i will be posting more of these as i get them.. Feedback for demo we did a few weeks ago! The purchase of a fine wool carpet/rug is an investment that should be properly cared for. Because wool is a natural fiber, it has different needs than modern synthetic fiber carpets. The dyes used to color wool carpet/rugs are often sensitive to harsh cleaners, so it is important to keep the appropriate cleaners on hand and ensure that harsh chemicals are never used. Wool fibers also have felting properties, making it important that they are handled carefully. A little knowledge goes a long way in caring for wool carpets and rugs and ensuring that your investment will last for years for your family to enjoy. Regular wool carpet maintenance necessitates vacuuming two to three times a week, dependant on how much foot traffic your carpet sustains. In order to ensure that the maximum amount of dirt is removed from deep in the carpet without hurting the fibers, make sure to set your vacuum’s beater bar at the correct height for your carpet. You want it set as low as possible without slowing the beater bar’s movement. If the beater bar is too low, it will revolve too slowly to be effective, and can tear the tiny fibers of the wool carpet/rug. The strain on a beater bar that is set too low can also burn up the vacuum motor. When vacuuming a wool carpet/rug, be sure to move the vacuum in all directions, vacuuming both the length and width of the carpet. This will help ensure that as much debris as possible is removed. 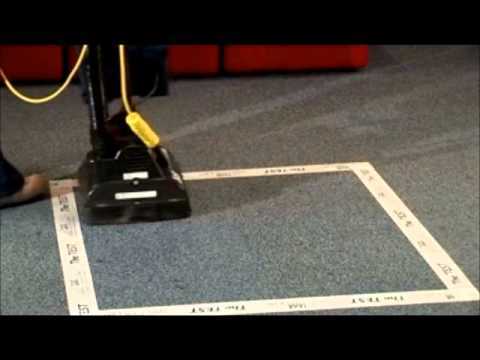 Vacuuming is standard for all floor coverings. Deeper cleaning methods differ depending on the type of fibers that the carpet is made of. Silk carpets are sensitive to many cleaners that are safe to use on antique wool rugs, and synthetic fiber carpets are the least sensitive of all. It is very important to check with the manufacturer of your rug about what type of cleaning solutions and methods are recommended for that specific rug. Generally, oxygen based cleaners should never be used on wool fiber carpet/rugs. If a spill occurs, blot the area with clean, white towels until no more wetness shows on the towels and the wool rug is as dry as possible. Using white towels is important, as it stops color transfer from the towel to the carpet. It is also important to be careful to blot, not rub. Rubbing at a spill works the mess deeper into the carpet pile and agitates the wool fibers. If the spill is biologically based, for example pet urine, use an organic microsplitter cleaner on the spill spot and allow to dry on its own so that the microsplitter as time to work. It is usually a good idea to call a professional cleaner after such an accident. You can have a wool carpet/rug professionally steam cleaned, we would advise against this. For best results, have your wool carpets/ rugs cleaned about every 12-18 months by a company that specializes in cleaning, restoring, and caring for your particular type of wool carpet or rug.